Here's a teacher's sample of what the final project will look like. 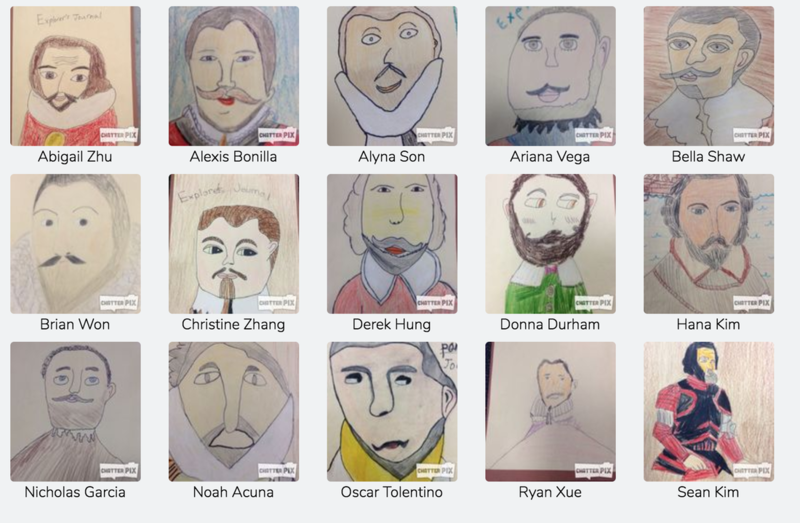 A student's project will have a hand-drawn portrait and hand-written letter. with the grading rubric stapled on the back. ​Here is a sample letter on the right to give you an idea on what you need for your Explorer's Letter assignment. This is for a sailor on Columbus' ship, so DON'T copy this one! We'll use a rubric similar to the one here to grade the assignment. 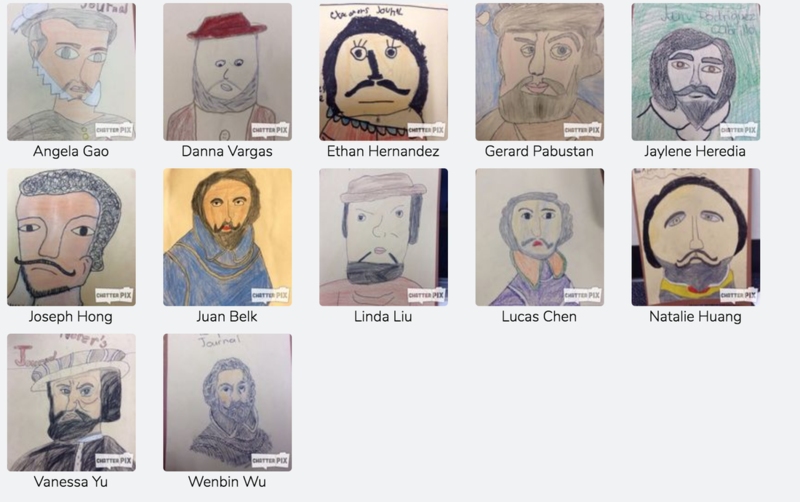 Make sure you tell which explorer you’ve chosen: Drake, Cortes, Vizcaino, or Cabrillo. Here are the explorer choices. It would be smart to find a partner to share notes and resources with. ​I’ve spent the past several years sailing on Señor Columbus’ flagship, the Santa Maria. 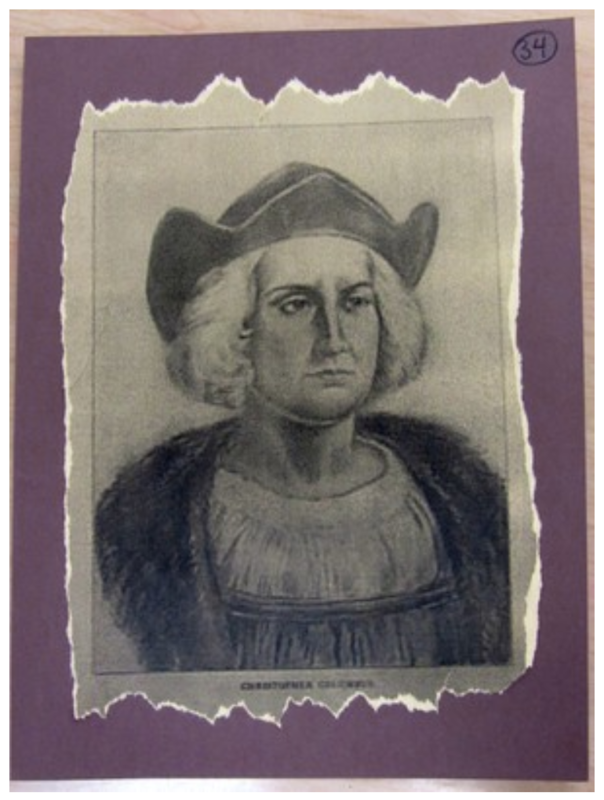 We were sent on our expedition by King Ferdinand and Queen Isabella, our Spanish rulers. He was off looking for a shortcut to India, thanks to advice he got from his father-in-law. We started the first of 4 voyages west in the year 1492, and just got back 3 years ago. We thought we landed in India, and called the natives there Indians. We discovered a new land, but not the one we wanted. We followed the currents of the Atlantic, sailing southwest until we reached island we decided to call the West Indies. The captain is a little sneaky… he wrote some notes down in his sailing diary to make us think we were closer than we were, and kept the REAL notes in another diary. The Atlantic is a stormy sea, and it seemed to be taking FOREVER. Most of the crew was getting really mad, and our captain promised to turn back if we didn’t find land in 2 days; it only took one! The lands we discovered had warm beaches and tall palm trees, and people wearing very little clothes with dark skin. They were friendly. Sadly, our captain became weakened by many years of sailing in the cold and eating bad food. He died on May 20th of this year. We will never forget our travels with this crafty, determined sailor. Here are some sample explorer portraits to give you some ideas on how yours should look. Decided on your explorer? Click on a button below for lots of research links.